2017 festivals were fun but a bit of a washout, and our customers were grateful to have the warmth and comfort of our Motorhomes to make family festivals more fun, rain or shine. 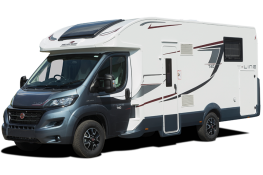 So be prepared for UK weather by hiring a motorhome for the 2018 family friendly festivals. Summer 2017; sun scorched days and warm, star-filled nights was the expectation. Sadly, the reality was somewhat different as July and August suffered an identity crisis, morphing into April with frequent showers which seemed to dramatically outweigh the sunny spells! Yet it takes a lot more to dampen the Great British spirit than a drop of rain. Stalwart holidaymakers all over the country could be heard declaring that ‘the best thing about summer is that the rain gets warmer’! Good weather or no, no self-respecting family’s holiday to-do list is complete without attending at least one festival. 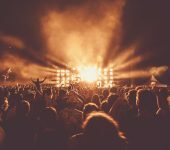 Whether you are a day tripper, or a family determined to really get away from it all, festival attendance is a summer holiday badge of honour and is the one activity sure to get Teens, Tweens and Tots all on side. If you are going to tempt them away from their screens, you need to dangle a serious carrot, so here’s our guide to some of the best festivals in 2018. The Just So Festival, Cheshire. 17th – 19th August. Adult Weekend Ticket – £135, Children’s Ticket – £50, under 3’s go free. This weekend festival is ideal for tiniest tots with baby massage, yoga and bubble bath on offer in the beautiful Rode Hall Estate. Competitive older kids will enjoy a Just So Bake-off where they can create and (more importantly) eat their bakes. Woodland theatre and comedy will keep them occupied during the day and water sports are also available on the Estate’s Lakes. Beautiful Days, Escot Park, Devon. Dates and prices TBC. 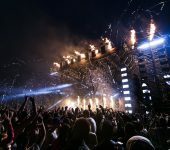 Ideal for first time festival goers, Beautiful Days has the comfort of luxurious award-winning toilets and is a must for music lovers with the Friday Family Rave and lots of free activities for the kids. It is popular but not too busy with plenty of scope for a bit of R and R if large crowds aren’t your thing. Camp Bestival, Dorset 26th to 29th July. Adult Weekend Ticket £175 (early bird), £10 for children aged 4 and under and free for babies. Camp Bestival along with the (not so mini) mini food festival, boasts the world’s biggest bouncy castle. I’ll say that again, THE WORLD’S BIGGEST BOUNCY CASTLE and adults are actively encouraged to bounce! And if that isn’t enough, parents of a certain age can expect a back catalogue of their favourite 90’s artists, interspersed with modern acts. Camp Bestival is known as ‘the’ family festival. Green Man, dates and prices TBC. For health conscious, back to nature types Green Man gives you nature, nurture and a whole lot of fun! Set against the stunning backdrop of the Breacon Beacons this festival helps you to re-connect with the earth and explore your inner psyche with shamanic workshops, star gazing and of course music! 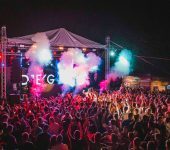 There is an area set aside for ‘little folk’ with crafting, potion making and pedal power, and a ‘somewhere’ area for 13 – 17-year olds boasting DJ workshops, film making and t-shirt design. The Big Festival, dates and prices TBC. When you’ve got Jamie Oliver on food and Blur Bassist Alex James on music, things good things are sure to follow and they do! From top quality nosh to top quality tunes (2017 line up included Olly Murs, Hacidenda Classical, Faithless to name but a few), no wonder this festival has rapidly become the favourite haunt of celebs and their spotters. From tree climbing to crafts and the genius common room, all ages are catered for though be prepared, you may need to endure a bit of dad dancing! 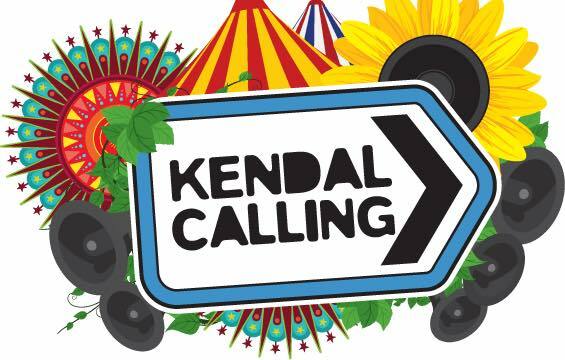 Kendal Calling, July 27th – 30th, prices TBC. If you fancy a trip up North (and with scenery like this, why wouldn’t you?) Kendall Calling has got it going on. Real ale (naturally), Kids Calling (especially for ages 0-10), and long tradition of phenomenal line ups (Elbow, Snoop Dogg, Blondie), this is a big friendly festival, jam packed with a cinema, music, markets, and performance art! 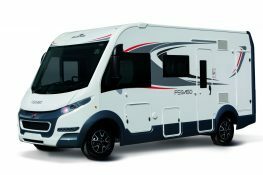 And if all this wasn’t enough to tempt you away from your home comforts, remember that by hiring a motorhome you never need to leave them behind.